In spite of the fact that Clenbuterol is not an anabolic androgenic steroid (AAS), it is very popular among bodybuilders, who use it as a fat loss agent. Perhaps, it is one of the most controversial drugs in the bodybuilding community, which is surrounded by many myths and rumors. Some claim that it is extremely beneficial and safe, whilst others talk about the prominent side effects of clenbuterol. However, the truth lies somewhere in between, and facts have to be considered in order to make conclusions about this sympathomimetic drug. 2.3 Studies and controversies – does clenbuterol have anabolic activity? 2.4 No results from clenbuterol – bunk product? 3.4 No side effects – is it fake clen? Most drugs used by bodybuilders were initially developed for medical use, and clenbuterol is not an exception. It was, and still is, a widely used bronchodilator that is found in all parts of the world. Interestingly, although it is best known as a remedy for asthma, clenbuterol is also effective in the treatment of such conditions as hypertension, cardiovascular shock, arrhythmias, migraine headaches, and anaphylactic shock. 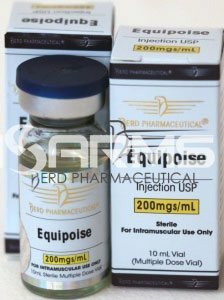 Nonetheless, clenbuterol is not approved by the FDA for human use, and alternative treatments (such as Albuterol) are applied for the above mentioned diseases in the US. As a matter of fact, the fat burning properties of clenbuterol have also made it a widely used drug for cattle, where it helped maintain lean mass in the animals for an improved quality of meat. Nevertheless, due to several cases of food poisoning when people ate meat of animals that were administered with clenbuterol, this practice is now prohibited in most countries. Some sympathomimetic drugs activate just certain particular receptors, whilst others are less selective in their action and interact with many of these receptors (such as ephedrine, which activates all of the alpha and beta receptors). Therefore, the mode of action of each of these drugs will greatly depend on the receptors they interact with, since the adrenoreceptors are located in a wide range of tissues and have different reactions. Clenbuterol mostly acts as an agonist of the beta-2 receptors, with a very mild impact on beta-1 receptors. Since the intense activation of these particular receptors causes the breakdown of triglycerides into free fatty acids, clenbuterol is very effective as a fat burner. However there is one important thing to keep in mind. 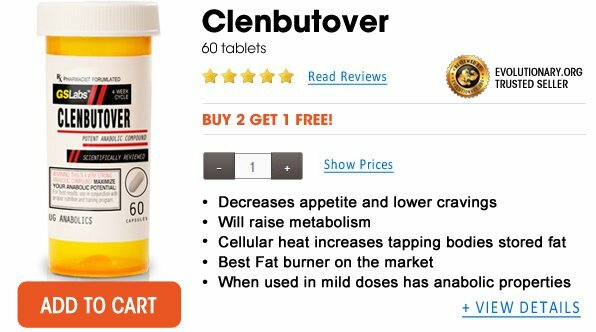 Clenbuterol breaks down the fat, and frees up the free fatty acids into the blood stream, so that fat becomes the primary energy resource. But if these fatty acids are not employed, they will convert back into triglycerides, and as a result all the burnt fat will return. Therefore, it is mandatory to keep a clean diet and exercise intensively during a clenbuterol cycle, which will make the body use all these free fatty acids in the blood stream as the main source of energy and will not let them become fat again. One of the major inconveniences in the use of clenbuterol is that beta-2 receptors get saturated rather fast, which makes them get downregulated. As a result, clen’s effects will start diminishing after 2 weeks of use. Nonetheless, there are two popular ways of going around this problem. The first one, and the simplest, is to take a two-weeks brake after every two weeks of clenbuterol use, allowing the body to upregulate these receptors naturally. The second solution is to start taking an anti-histamine drug called Ketotifen Fumarate, which has a proven ability to up-regulate beta-2 receptors, rendering clenbuterol the chance to keep functioning properly. 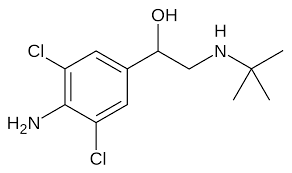 There was a time when a compound called Benadryl (Diphenhydramine Hydrochloride) was used for this purpose. However, even though this substance won’t hurt, it has been proven that it does not have any impact on beta-2 receptors upregulation. Thus, it is recommended to stick to one of the two options mentioned above. 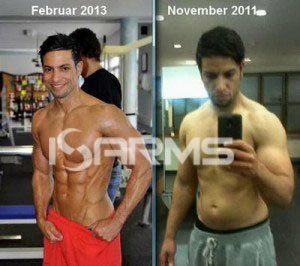 Studies and controversies – does clenbuterol have anabolic activity? The anabolic property of clenbuterol is one of the main controversy moments in the bodybuilding community. While there are many bodybuilders assuring that clenbuterol helps gain additional lean mass, and therefore has anabolic properties, multiple studies show that it is not true. In fact, this misconception is quite surprising, since clenbuterol is one of the most studied compounds used by bodybuilders. In these studies, most of which were carried out with animals, it was proven that clenbuterol can indeed be anabolic and help gain lean mass. Nonetheless, the doses necessary for such results had to be extremely high, and such doses could even be life threatening. Moreover, these minimal anabolic effects appeared only after a long term use of clen, which, as we now know, is not a convenient practice. Further studies showed that clenbuterol’s anabolic action is almost unnoticeable in humans. Therefore, the conclusion is simple – clenbuterol can be anabolic, but it will require excessive dosages that will cause many dangerous side effects. Hence, it is recommended to use clenbuterol for fat loss purposes only, and no anabolic action should be expected from this compound. Following this advice will save the athlete time, money, and a good bunch of side effects. No results from clenbuterol – bunk product? Many tend to think that if clenbuterol does not work for them, they got a bunk product. However, this is not the case. What happens, is that basically, clen is a stimulant, and its effects depend on the individual sensitivity to stimulants. Some people, especially those who drink a lot of coffee and use other stimulants as well, become desensitised over time. Hence, the body just does not react to the compound. 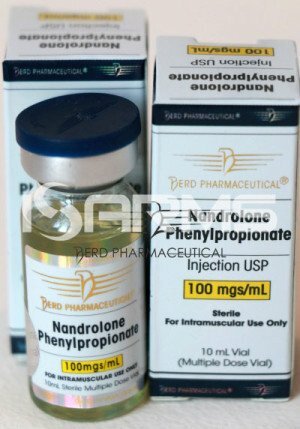 In such situations many could opt for ephedrine, which should work better because it interacts with a greater variety of adrenoceptors, and for this reason has more chances of having any effect. Thus, in spite of the fact that most people will benefit from clenbuterol’s fat loss properties, some will respond very poorly to the compound’s action. Clenbuterol’s effectiveness as a fat loss agent comes at the price of many prominent side effects. Logically, since it is not an AAS, clenbuterol is not suppressive, nor does it have any influence on estrogen levels. Nevertheless, it has all of the side effects that are also found with other stimulant compounds (ephedrine, albuterol, caffeine, etc. ), and these must be kept in mind when planning a clenbuterol cycle. Another important aspect of clenbuterol’s side effects, is the fact that most of them will stop occurring as the body gets used to this compound during a cycle. It is also noteworthy to say that some individuals may be more sensitive to these side effects, whilst others may experience less side effects, or do so to a lesser extent. These side effects can be divided into three major groups: frequently encountered physiological, psychological, and rare side effects related to high dosages of clenbuterol. Among the frequent side effects we can mention tremors, or simply put – hands’ shaking. In fact, this side effect has the most pronounced manifestation with clenbuterol, and even though it also occurs with ephedrine or caffeine, it does so to a lesser extent. Insomnia is another common side effect with clen, as well as with any stimulant. Furthermore, clenbuterol users report having excessive sweating during clenbuterol cycles, which is most probably related to the temperature increase that takes place with this compound. Usually, this side effect is not life threatening, and mostly affects one’s comfort. The above mentioned side effects do not represent any serious danger for health, and could be mostly considered as little inconveniences. However, there is one side effect that can have serious consequences – increased blood pressure. As a result of clenbuterol being a stimulant, it causes vasoconstriction, which leads to high blood pressure. This condition may bring along considerable headaches, and other issues related to high blood pressure. Therefore, those with a personal history of high blood pressure should be very cautious with clenbuterol use, and in case they use it, blood pressure must be monitored all the time. What’s more, clenbuterol can cause muscle cramps, which can be quite severe. Nonetheless, this issue is easy to deal with. All it takes is to add taurine and potassium supplements into the regimen, and they will relieve cramps and excessive pump. Interestingly, unlike most anabolic androgenic steroids, clenbuterol may also cause psychological side effects. Their occurrence will greatly depend on individual predispositions and sensitivity to stimulants. Hence, psychological side effects will range from anxiety and depression, up to euphoria. Therefore, one must not be surprised by considerable changes in mood and behavior. Finally, there are some rare side effects that are triggered by high dosages of clenbuterol, or high response to stimulants. Most of them are related to the heart, and include such issues as tachycardia, irregular heart rate, rapid breathing, severe nausea, vomiting, and diarrhea. Most probably these side effects take place because clenbuterol not only interacts with beta-2 receptors, but it also has a certain impact on the beta-1 receptors, which are closely related to the cardiac effects of stimulant compounds. No side effects – is it fake clen? 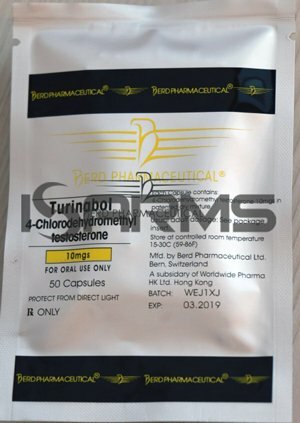 Many clenbuterol users report that they don’t experience side effects from this compound, which frequently makes them think that they got a fake product. However, clenbuterol does not necessarily cause side effects, since personal response to stimulants and CNS (central nervous system) sensitivity determine how the body will react to these compounds. As a matter of fact, one can have all the results that clen can offer, and not experience any side effects at all. Therefore, the best way to tell if the product is real or not, is to pay attention to fat loss. Due to a strong stimulating activity of clenbuterol, the dosage should be always increased in a gradual manner, starting off from the smallest dosage – 20 mcg (you are not mistaken – micrograms, not milligrams). Then, every third day 20 mcg can be added. The normal dosage for men stays in between 60-100 mcg per day, whilst for women 10-40 mcg are more than enough. There are some athletes who take up to 120-160 mcg, but such high dosages can cause sever side effects, and one should never exceed a dosage of 200 mcg per day. The same tappering protocol should be followed when coming off clenbuterol because the body will need some time for adaptation. Most of the users will stop benefiting from clenbuterol use upon 4-6 weeks into the cycle, and at that moment they will face a choice. Either taking a two week break, and resume the cycle after this, or start taking Ketotifen. If the second option is chosen, ketotifen should be taken at a dosage of 2 mg ED for 7 days every two weeks of clenbuterol use. The overall cycle duration should never exceed 8 weeks. In spite of the fact that many bodybuilders use clenbuterol with the expectation of getting lean mass gains, it will not provide those. Therefore, clenbuterol should be used exclusively as a fat loss agent, and this is there it truly shines. Clenbuterol is extremely effective for cutting, and its fat burning properties are very beneficial for pre-contest cycles. However, one should remember, that it will only help lose fat if proper diet is followed and physical exercise is done. Otherwise, no effects will take place. According to anecdotal reports, clenbuterol’s effectiveness as a fat burning agent can be greatly boosted by the addition of Cytomel. Such a stack can provide some extreme fat loss prior to a competition or a photo-shoot. Furthermore, the clenbuterol-thyroid stack has also proved to be very powerful during HGH cycles. Clenbuterol use is not exclusive to medicine and bodybuilding. Due to its fat loss efficiency, clenbuterol is frequently used by celebrities in need of an attractive and lean physique. 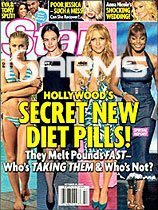 Among the confirmed users of this compound are such public personas as Britney Spears, Lindsey Lohan, and Victoria Beckham. Clenbuterol has quite a long half life of 34-36 hours, and according to some studies – up to 48 hours. This makes it very easy to achieve stable levels of the active substance in the blood stream. Hence, one can take clenbuterol just once per day. Clenbuterol is a very controversial compound, which is even feared by many. However, its side effects are not life threatening if proper dosages are taken in the right manner. Therefore, although it is not as dangerous as many tend to say, clenbuterol should be respected, and a cautious approach is needed. On the other hand, this stimulant drug has some outstanding fat loss properties, which are very welcome by those wanting to polish their gains, or to prepare for a contest.